Can anything good come out of Ireland? Patrick was just sixteen when his town in Roman Britain was attacked by Irish raiders. They captured him and sold him into slavery in Ireland. The year was somewhere around 405AD. Patrick came from a Christian family. Patrick's father, Calpurnius, was a deacon. His grandfather had been a priest. In his Confessions he tells us at the time of his capture, "I did not then believe in the living God, nor had I believed, since my infancy. " He had no concern for the salvation of others. His only concern was for himself. Patrick came to see the hand of God in his troubles and in those of the other captives, "for quite drawn away from God, we did not keep his precepts. " In the midst of this crisis Patrick acknowledged his unbelief and sin. In his Confessions he tells us how he turned to God who had "watched over me before I knew him" and who now "protected me and consoled me as a father would his son." In his land of captivity, Patrick experienced "so many favours and graces." As he tended his flock he used to pray continually. He tells how the love and fear of God and faith grew in him. How at night "I used to stay out in the forests and on the mountain and I would wake up before daylight to pray in the snow, in icy coldness, in rain and I used to feel neither ill nor any slothfulness, because, as I now see, the Spirit was burning in me at that time." Eventually in a dream, Patrick heard that "soon you will depart for your home country. " A short time later, he hears a voice prophesying, "Behold, your ship is ready. " He escaped and traveled two hundred miles to find that ship and begin the journey home. Patrick became the first missionary to take Gospel to the "barbarians" outside of the confines of the Roman Empire. Patrick makes it very clear that that his captivity and sufferings were instrumental in preparing him to receive his call. It took six years of hunger, loneliness and cold for God to move him from a teenager with an inherited nominal faith to become an apostle to Ireland. As a result of his influence "the Irish slave trade came to a halt and other forms of violence, such as murder and intertribal warfare, decreased. " All this was achieved despite opposition from the druids, local rulers and the British raiders who slaughtered his converts. Yet Patrick was more than a mystic. 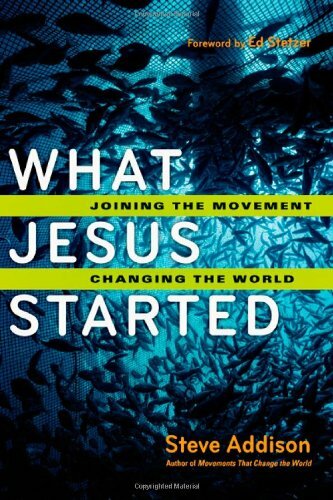 He was a man of action for whom love for Christ was channelled into courageous and bold mission. To this he added his ability to mobilise others and birth a movement that continued his legacy for centuries to come. Despite his abilities it may have been that his mission and methods met with disapproval and may have never been officially recognised. Patrick adapted church structure to facilitate his mission to Ireland. The rural Irish lacked the outward manifestations of Roman civilization: towns, roads, coinage, written law, bureaucracy and taxation. . Their primary social group was the tribe ruled by the local king. In response, Patrick established a decentralized church structure, more in harmony with Celtic culture and more effective in missions. In contrast to the Roman system based on the diocese, the church was centred around the monastery led by an abbot. Bishops were selected by and dependent on, the monastic clergy. There was an amazing flood of Irish youth into monastic life. Most monasteries began modestly with a founder seeking retreat from the world with a few companions in some remote place. Soon they found themselves pursued by throngs of young men eager to follow their example and to obey their rules. The monastery was not just a place of devotion and learning. It was a base for mission and outreach. It was a sending centre. 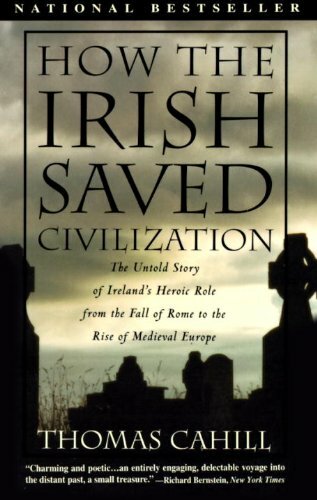 As a result, the Irish church became a missionary movement and for centuries Ireland became a centre from which Christianity spread not only to Britain but to much of Western Europe. Columba (521-597), whose grandfather had been baptised by Patrick, continued the development of the Celtic missionary movement. 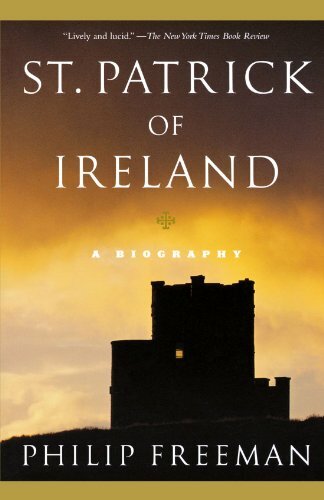 He left his native Ireland under a cloud with twelve companions for the island of Iona off the coast of Scotland. On Iona he established a missionary base for the evangelisation of the pagan Scots and Picts (c. 563). Missionary monks were trained and sent out and a network of monasteries was established. With Patrick he shared a commitment to the Bible and love for Christ that inspired a missionary impulse. For centuries Iona served as a centre for training and sending out missionaries and the establishment of other centres throughout Ireland, Scotland and northern England. Patrick's personal achievements were impressive. His greater legacy was the missionary movement that he inspired which continued to have impact for five hundred years. The monasteries of the Celtic missionary movement became dynamic centres of spiritual devotion, learning and mission in a chaotic world. As the number of monasteries multiplied throughout Ireland, Britain and the continent, converts were won and new missionaries set out to â€œgo pilgrimage for Christâ€ to wherever they felt God's leading. For more than half a millennium a stream of educated and dedicated men poured from the monasteries of Ireland to go pilgrimage for Christ wherever they might feel themselves divinely led. Around these monasteries, so full of vigour, a Christian Celtic culture developed. From them for several centuries streams of influence issued to the Anglo-Saxons and the Continent with important results. From them Irish monks, missionaries and scholars went forth and to them came students from many lands who either were themselves in turn inspired to be missionaries to foreign peoples, or who carried home with them something of what they had learned. 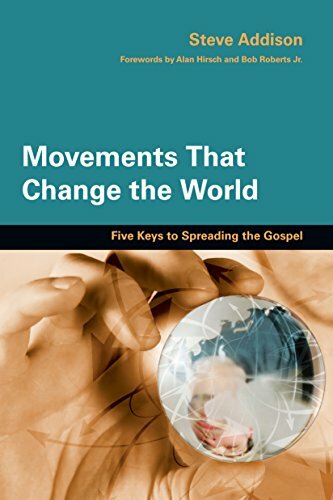 Thus the conversion of England and Scotland and through English missionaries, the conversion of much of western and northern Europe can be traced back directly to the impact of the Irish missionary movement which began with Patrick and Columba. The impact of Patrick and others like Columba was due only in part to the extraordinary lives they lived. 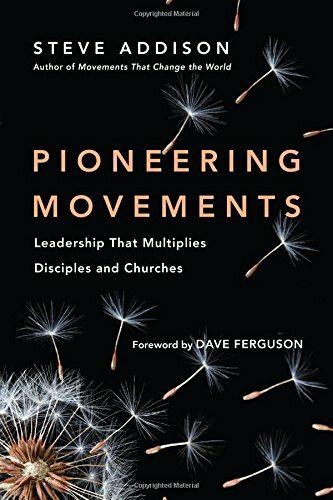 Beyond their individual impact they left the legacy of the missionary movement they inspired and built. Their ministries led to thousands of young people flooding in to monastic life. This was not a highly organised or centrally controlled operation. In many cases the monastic founders sought to retreat into some remote place with a small band of followers in order to pursue Christ. Only to find themselves pursued by throngs of young men eager to follow their example and obey their rules. In time the monasteries became centres of learning, industry, prayer and mission. Many of these young men, in turn became missionaries and founders of monasteries as they received their call to go pilgrimage for Christ. They left with a small band of followers to go where the Spirit led them. As they fanned out across Britain and Western Europe, Christianity was planted throughout the rest of the pagan world beyond the reach of the Roman Empire. They founded monasteries and recruited new workers as they went. 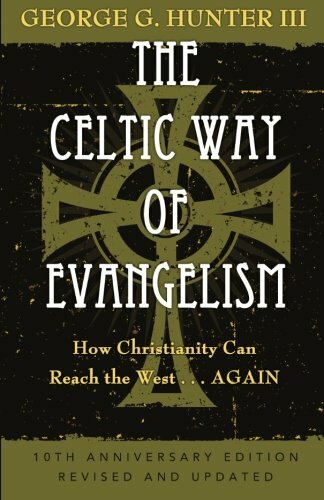 The Celtic missionary movement had a love for classical literature and the pagan poets but held the Scriptures in highest regard and read them with personal directness but with little concern for doctrinal issues. Few of them are known as great theologians of the church. But they possessed a spiritual authority and power that transformed the world in which they lived. One might wonder what the role of the Roman church was in this missionary endeavour pouring out of Ireland. The Roman church had a distinguished history. It had impressive organisational systems. It was wealthy and powerful. Yet the Roman church was strangely absent from the frontline of missionary expansion. The Roman church's concern for mission ended at the borders of the Empire. Its preoccupation was increasing the protection of its privileged position in society following the conversion of the Emperor Constantine. It is clear from Patrick's Confession that some influential church leaders did not respect his leadership. They raised questions about his lack of learning and his unconventional methods. His opponents thought him unfit to hold orders. Patrick argues his authority as a bishop was conferred upon him by God. He begins his letter to Coroticus with "I, Patrick, a sinner, unlearned, resident in Ireland, declare myself to be a bishop. Most assuredly I believe that what I am I have received from God." It was the Celtic church with its devotion to Christ, Biblical simplicity and an ecclesiastical structure that fuelled a missionary movement that lasted five hundred years. However, Rome won the day. The monastic bishop, the church centred round the monastery and the mobile missionary bands were replaced by the territorial diocese and its bishop. The church settled down. The flow of religious life was to be from England and the Continent to Ireland and not from Ireland to other lands. Newer PostWhy can't church be like football?